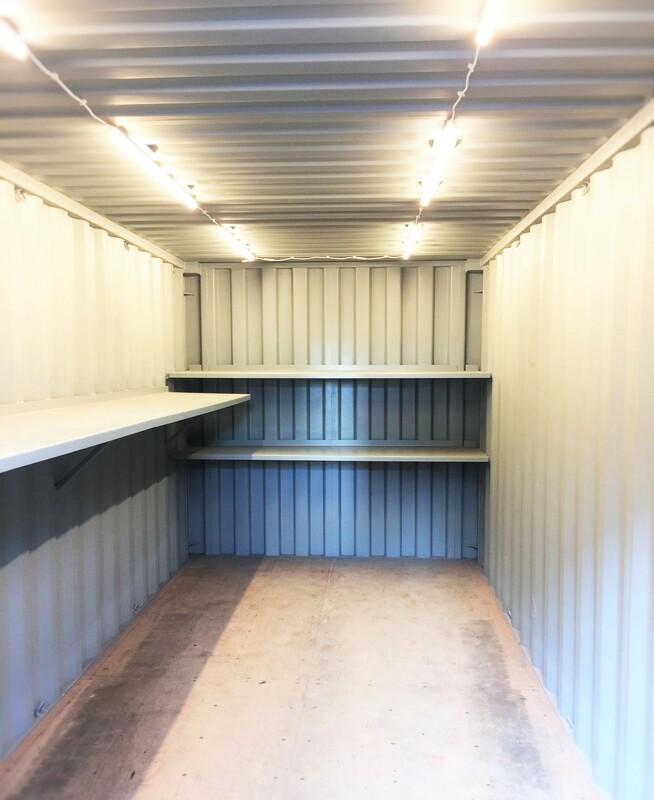 Taken right from our shop, Great photo of a 20' container with a rack system installed! Fabricated Container Systems attends the 2017 Landscape Ontario Congress. 2017 Happy New Year From Fabricated Container Systems! 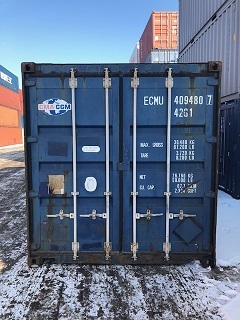 Oh the weather outside is frightful, But our containers are strong and faithful,As long as you store like so, Let it snow, Let it snow, Let it snow! 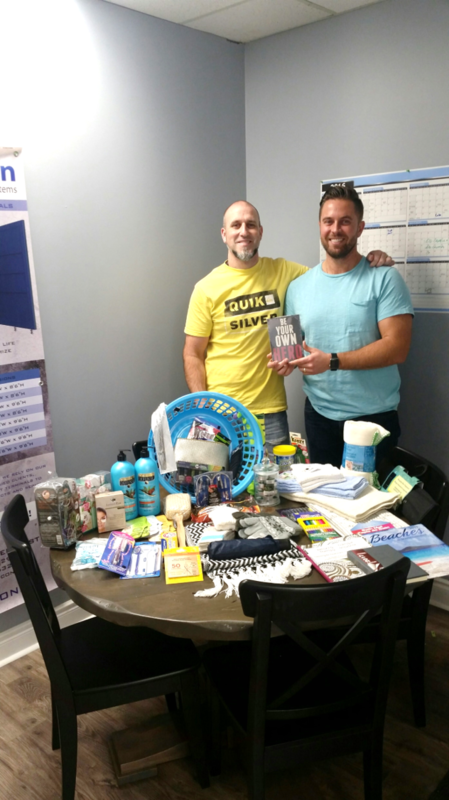 Take the time to give something back! 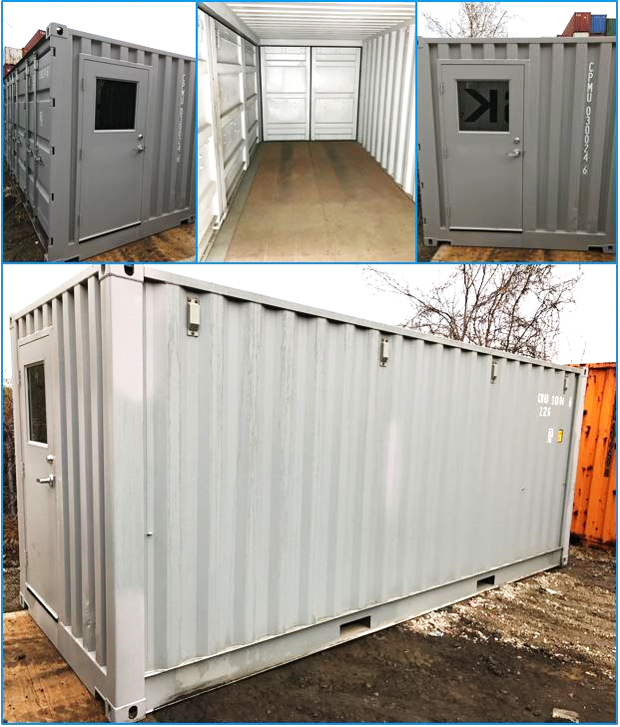 Fab-Con Recent Project: New 40ft unit with custom roll up door! Looks beautiful from every angle! 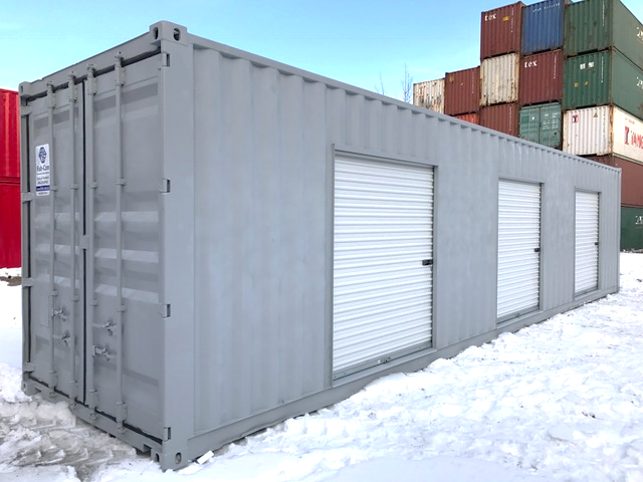 Custom 20ft gray storage container complete with one open-sided wall and man door.Great for small workshops!Get Yours Today! We Will Remember Them. We Will Honor Them. CrossFit Select enjoy your new storage 10' storage container! Taking Over The Big Apple! We've Gone Green! 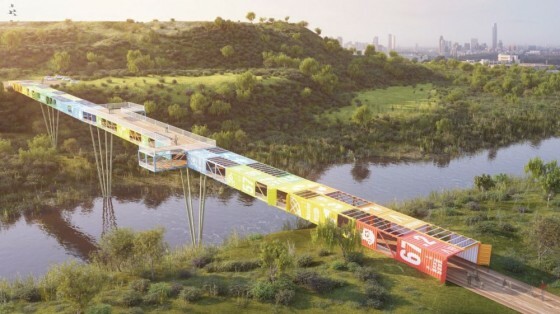 Fab-Con turned a retired 20' Shipping Container into a Bright Office Space! Backyard Bash! Your Easiest DIY projects ever! Take a retired shipping container and turn it into your best DIY backyard project! Recent Project: PETERBOROUGH'S NORTRAX CANADA INC. Thank you Nortrax for the opportunity to work with you to create your new custom container! The future of shipping. 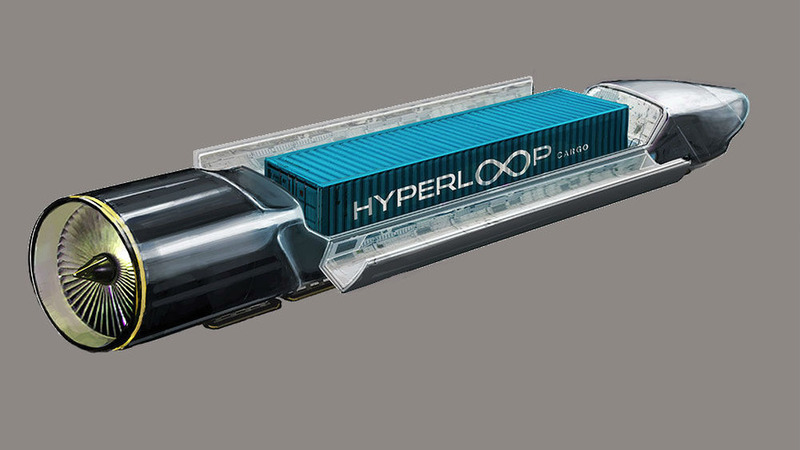 Seeing containers travelling 800 mph in a hyperloop around the world. What does Wikipedia have to say about Containers? 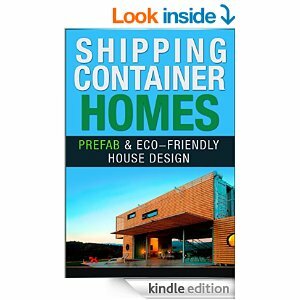 Books on building your very own Container home or building. Click here to see Books on building your very own Container home or building. 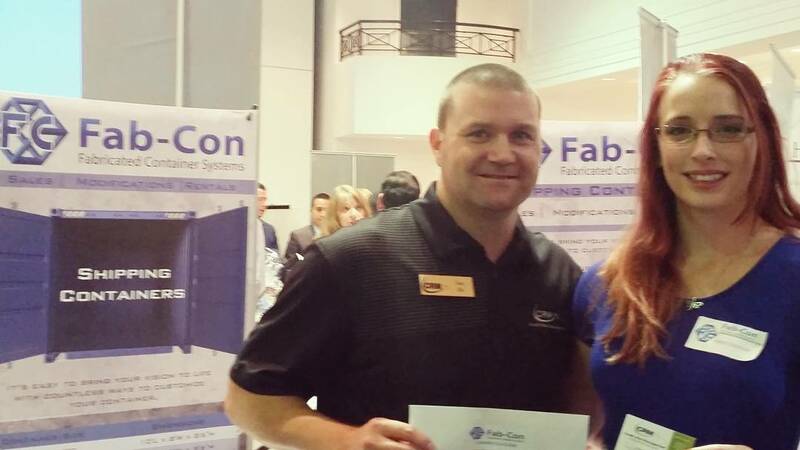 Fab-Con containers are a fast, secure, easy, low-cost storage solution. Units can be sold as-is or they can be modified to meet your specifications. 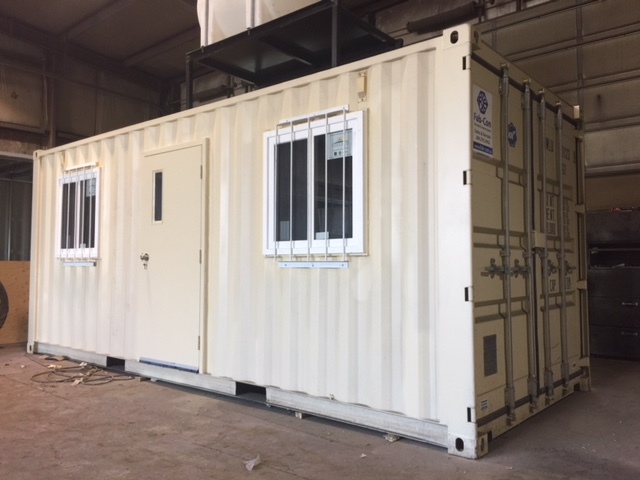 Units can be delivered and placed on your property with minimal or no site preparation or foundation needed.